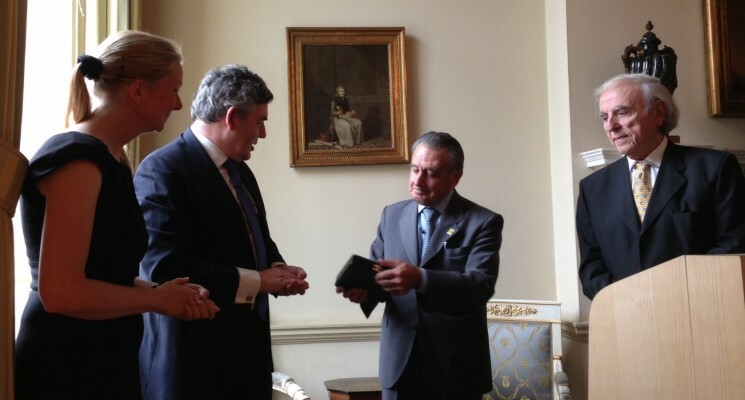 The International Raoul Wallenberg Foundation presented the “Raoul Wallenberg Centennial Medal” to Gordon Brown, former Prime Minister of the United Kingdom. 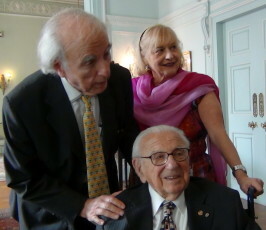 Brown was thus distinguished due to his undertakings aimed at the preservation of historical memory, as well as for promoting the legacies of Raoul Wallenberg and other rescuers. 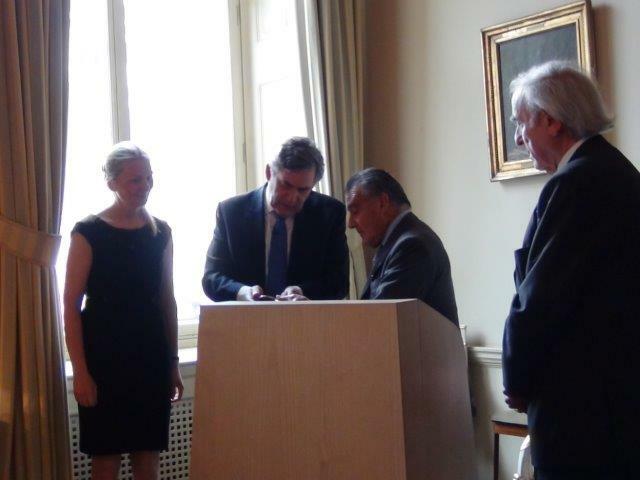 The granting ceremony, hosted by Ambassador Nicola Clase, was held on 27 June 2013. Messrs. Eduardo Eurnekian and Baruch Tenembaum, Chairman and Founder of the Wallenberg Foundation, respectively, attended the event with the company of Ms Perla Graisman, IRWF Global Development Director. The ceremony was attended by a number of Holocaust survivors and rescuers, including Sir Nicholas Winton, who saved 669 Czech children before the outbreak of the war in September 1939 by evacuating them to Britain and finding there foster homes for them. A doctoral graduate of the University of Edinburgh, Brown spent his early career working as both a lecturer at a further education college and a television journalist. He entered Parliament in 1983 as the MP for Dunfermline East. He joined the Shadow Cabinet in 1989 as Shadow Secretary of State for Trade, and was later promoted to become Shadow Chancellor of the Exchequer in 1992. After Labour s victory in 1997, he was appointed Chancellor of the Exchequer. 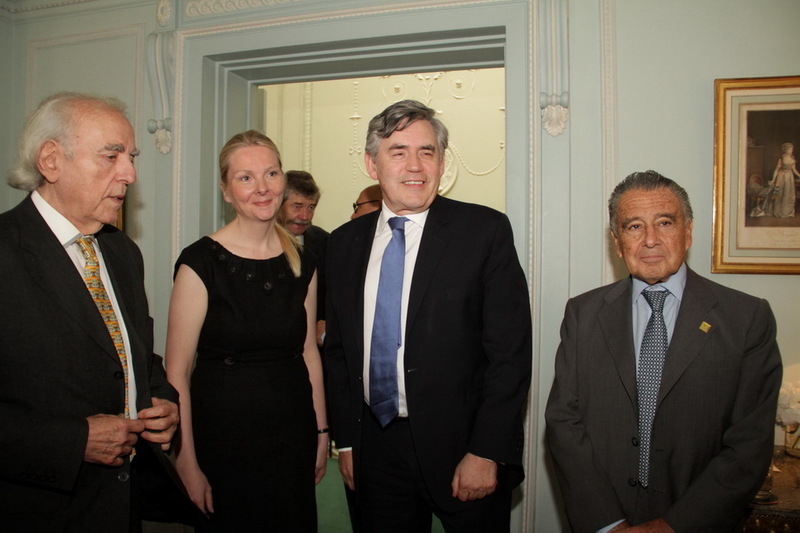 Gordon Brown, a long-time Honorary Member of the Wallenberg Foundation, was born in Scotland in 1951. He is the author of the book “Courage. Eight Portraits”. “As far as I can remember I have been fascinated by men and women of courage. Stories of people who took brave decisions in the service of great causes enthralled me, especially when more comfortable and far less dangerous alternatives were open to them.”, states Brown in the introduction. One of the portraits is devoted to Raoul Wallenberg, “… a businessman from Sweden who worked under diplomatic cover in Hungary, abandoning a life of privilege and safety that he was under no pressure to give up.”, in Brown’s own words. Accepting the medal, Brown stated: “This is an award that should have gone to my father. He inspired me to think of the sacrifice of people in the Holocaust and made me aware very early in life of the story of Raoul Wallenberg. Hailing from a neutral country, Wallenberg volunteered to go and do what he could to help. 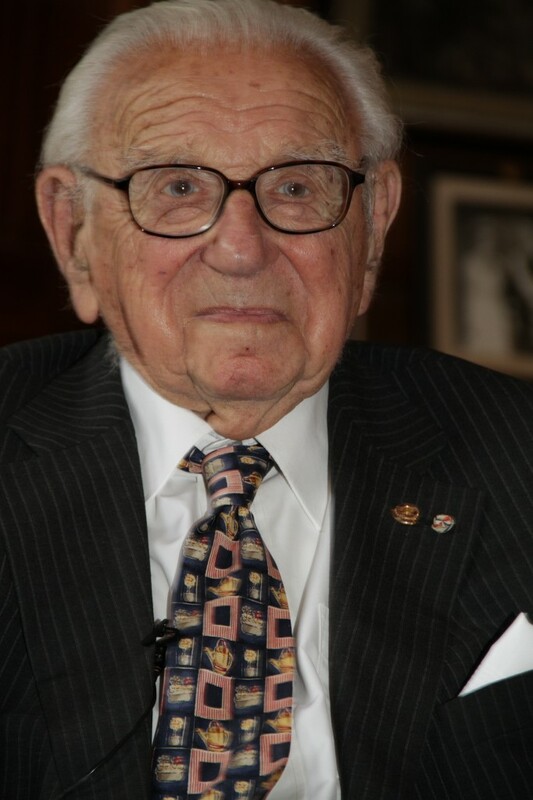 This story of courage beyond endurance is a story that must be told for generations to come.” Upon his arrival Brown congratulated Tenembaum for the great work done by the Wallenberg Foundation. 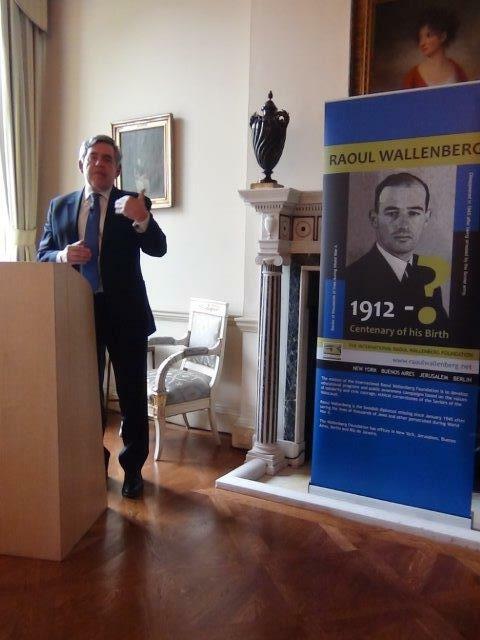 The Swedish Ambassador, Nicola Clase, said: “As we remember Raoul Wallenberg’s life and work, as well as other heroes´ courageous actions, we reaffirm our common aspiration for moral understanding and justice in the world. His story will forever live and inspire future generations”. A letter from Canadian Prime Minister, Stephen Harper, was among the international endorsements to the ceremony. 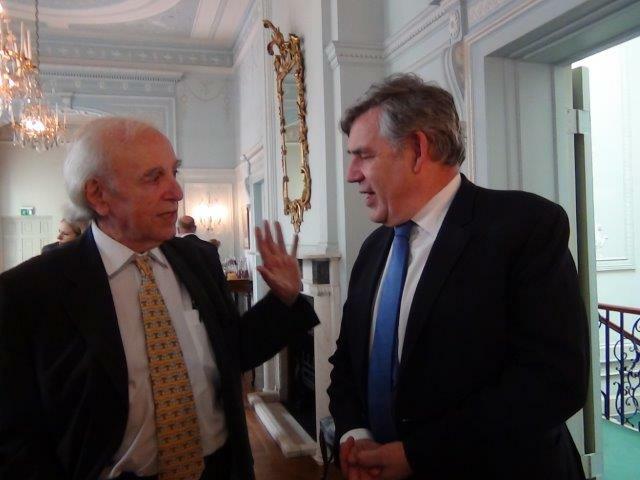 “I join you in saluting Gordon Brown for his dedication to building upon Raoul Wallenberg’s noble legacy of compassion and courage. Raoul Wallenberg’s heroic and righteous acts during one of the darkest chapters in human history are an inspiration to all those who cherish human rights and freedoms. 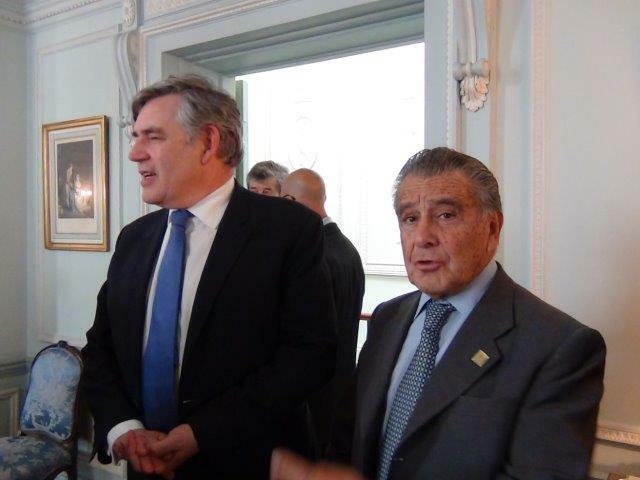 The exceptional efforts of Gordon Brown and the IRWF to advance the values of solidarity and civic courage espoused by the Saviours of the Holocaust are truly heartening. Only by fighting the pernicious evils of racism, anti-Semitism and intolerance can we hope to shape a future worthy of Raoul Wallenberg’s memory. In the spirit of this remarkable man, we can truly build a better world.”, wrote Harper. The Wallenberg Foundation thanks the Embassy of France in Buenos Aires, Air France and Mr. Eduardo Cosentino for their valuable cooperation. 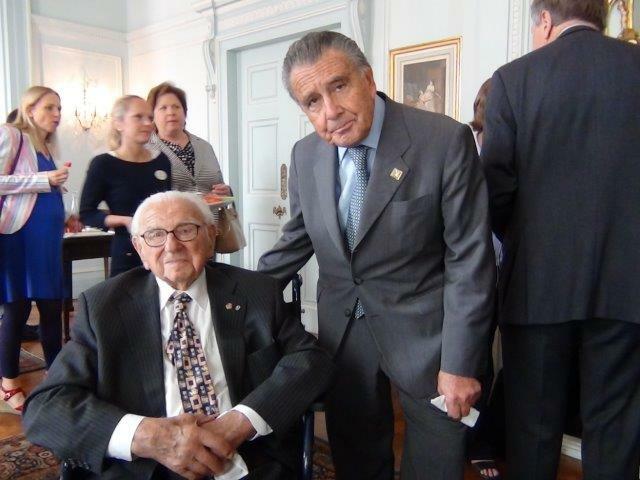 Sir Nicholas Winton y Eduardo Eurnekian. 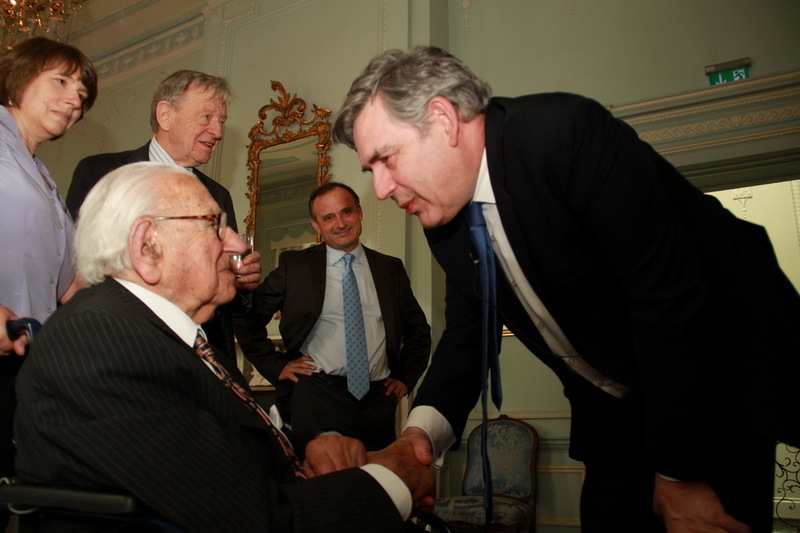 Sir Nicholas Winton y Gordon Brown. 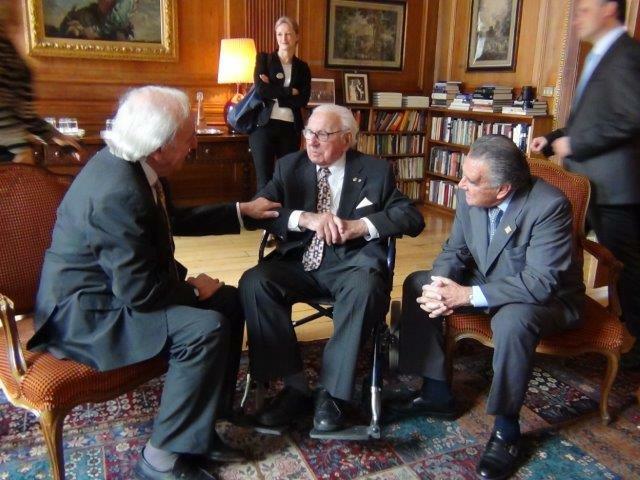 Baruch Tenembaum, Sir Nicholas Winton y Eduardo Eurnekian.